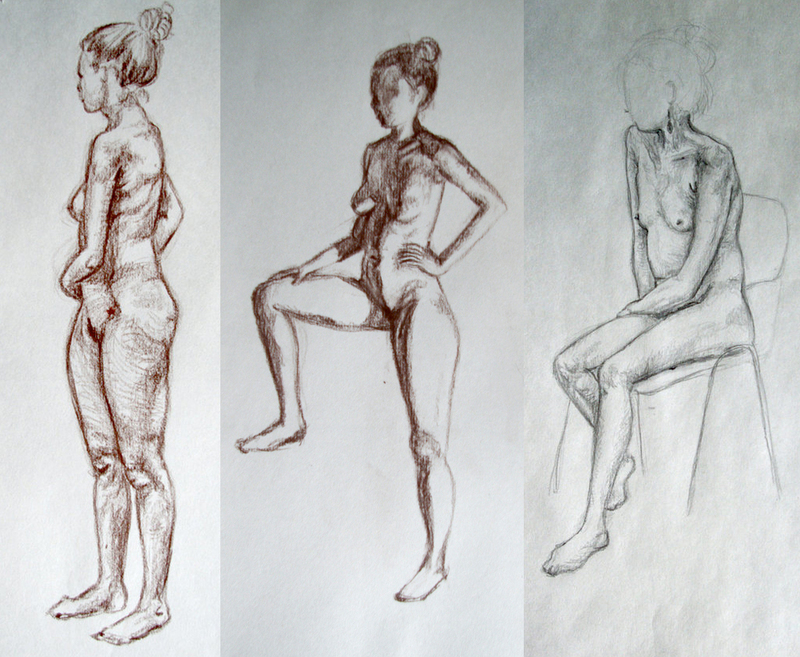 During my master studies 2011 I had the chance to join a course in life drawing at the btk. It was pretty interesting and highly beneficial. We mostly started with a fast sketching round, where we only got some minutes to capture the rough body shape and tension. I really needed some time to get into it. 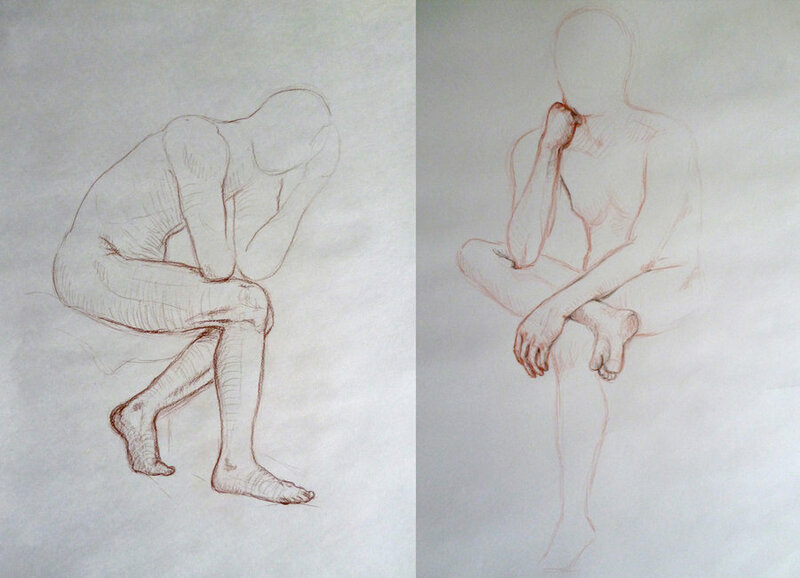 Afterwards we got time to draw some position for 30min or even an hour. 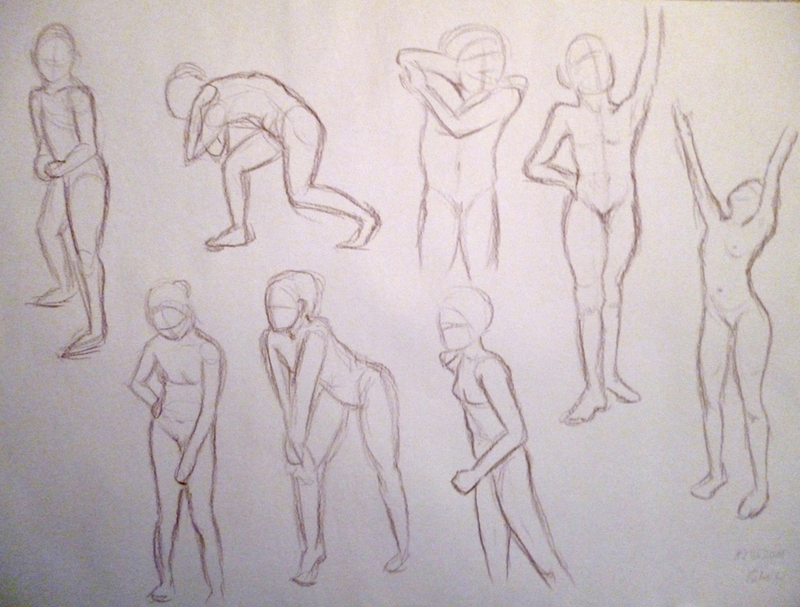 We started with basic positions and tried out different approaches, like drawing with some spotlights or starting with a black surrounding to the main body shape. 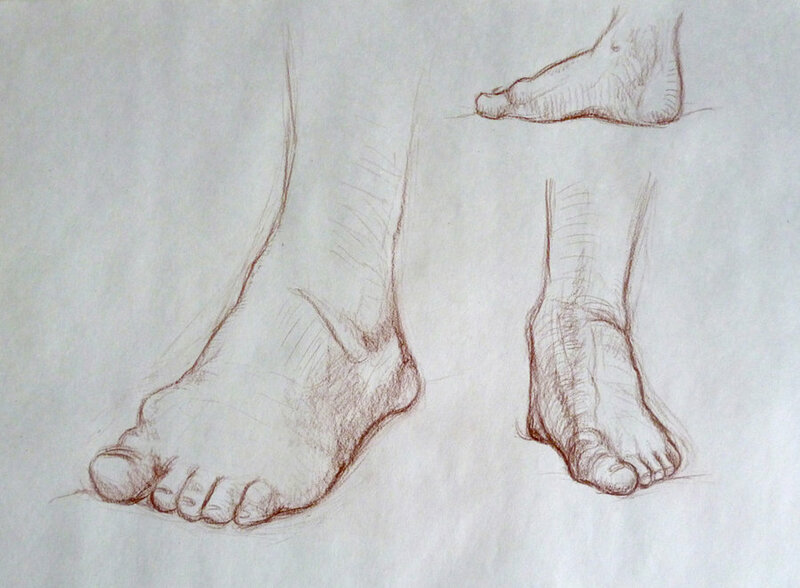 In some of the later courses we also started to concentrate on details, like feet and hands. Thinking about the rough forms and shapes really helped a lot to not get lost in the details right from the start.